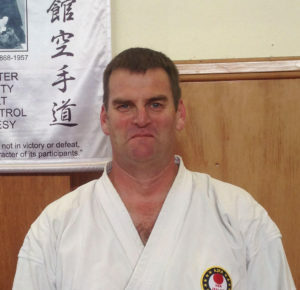 Edmond Otis Sensei, a New Zealand resident from 2008 and citizen from 2015, has practiced karate since childhood and is internationally known as a competitor, instructor, coach, and judge. He has coached numerous competitors to USA national and international championships, and has personally developed many high-ranking instructors. An 8th Dan (degree) black belt, Otis Sensei travels extensively throughout North America, Europe, and New Zealand, conducting seminars for instructors and students that focus on karate as a rigorous and demanding physical art, an effective and decisive means of self-defense, an exciting competitive sport, and, for some, a philosophy of life. He is currently International Chairman & Chief Instructor for North America and Australasia of AJKA-International. Otis Sensei’s training began, at the age of 12, under the direct guidance of the Japan Karate Association’s (JKA) legendary, Hidetaka Nishiyama Sensei and Yutaka Yaguchi Sensei. At 18 he became a full time student of Ray Dalke Sensei (Nishiyama’s senior US student, and one of the first 3 non-Japanese to achieve official JKA instructor status). Otis Sensei was the senior member and captain of the national championship “Riverside Dojo” team coached jointly by Dalke Sensei and, JKA kumite icon, Frank Smith Sensei, for 12 years. 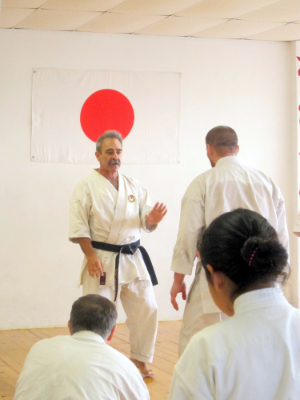 He has been a close personal student of AJKA-I International Technical Director, Leslie Safer Sensei, 9th dan, since 1984. 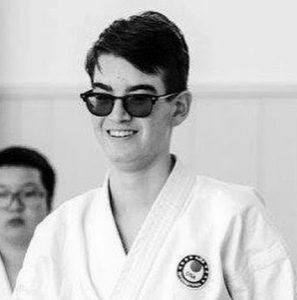 Otis Sensei takes great joy in teaching Karate in Napier to students of all ages and levels of ability, and is excited about the prospect and challenge of personally developing the Napier Karate program for kids and adults in Hawke’s Bay. Otis Sensei is featured in the international instructional series, “Essential Shotokan”, and is co-author of the best selling “The Complete Idiot’s Guide to Karate”. In addition to his lifelong involvement in martial arts Otis Sensei is also a licensed psychotherapist, speaker, and consultant. He coaches private clients, businesses, professional athletes, and organisations to successfully apply cutting-edge research and classic martial arts strategies to a broad range of life’s professional, personal, and interpersonal challenges. For more information about these services please visit: www.edmondotis.co.nz and www.aact-now.org, or www.nz.linkedin.com/in/edmondotis. To contact Otis Sensei directly about Shotokan in Hawke’s Bay or to arrange a seminar, please write – eotis@shotokankaratehawkesbay.co.nz. 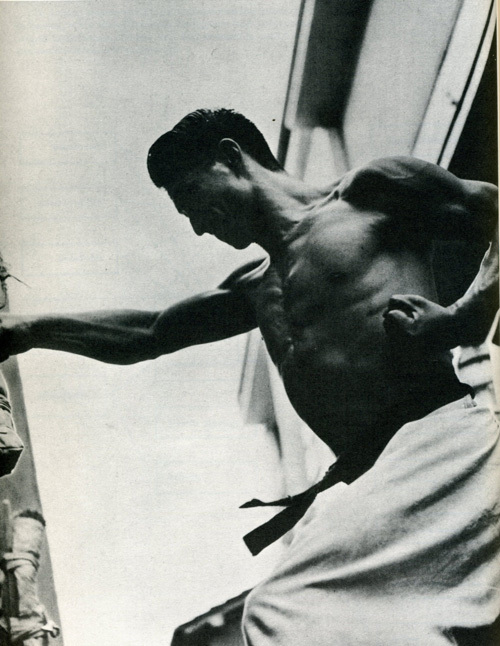 Why We Train – Part 1 | Why We Train – Part 2 | Why We Train – Part 3 | Book review KARATE: The Japanese Way | Interview from TheShotokanWay.com | Interview from Masters Magazine. I started my Karate training in a related style called Seido Karate in 1992 in Mount Cook village in the heart of the Southern Alps over the next 8 years I continued to train in both Mount Cook and then in Christchurch where in 2000 I attained the rank of Shodan in that style. I had a break from training for 10 years, though it was never far from my thoughts, but with changes in my work life it made it hard to get to regular training. I returned to training in 2010 about a month before everyone’s world in Christchurch was turned upside down by a series of earthquakes which broke the city however the Karate club kept going and was a rock of relative normalcy and training through the earthquakes and helping a friend get ready for her Shodan helped prepare me for my Nidan grading with Seido. After a moved to Napier in 2012 I have started Shotokan and have now earned a Nidan in this style as well. I enjoy working with both the adult and youth programs at Shotokan Karate Hawke’s Bay. Gabriel began practicing shotokan karate in 2005, at the age of 6, and is currently a 2nd degree blackbelt. He has competed internationally and trained with numerous senior level instructors at dojo’s and training events throughout Europe and the US. Karate is a big part of his life. Gabriel loves living, training and teaching in Hawke’s Bay. Currently, Gabriel is a student at Victoria University of Wellington studying law and political science. He trains in Napier and teaches during school breaks and for special events. Roberta began her martial arts training in 1982 at the London University, King’s College, Budokan Club. After returning to the US, she joined the Shotokan Karate Club at the University of California Riverside. Roberta assisted in the founding and development of the Carlsbad Karate Club, and is now an assistant instructor and the general manager of Shotokan Karate Napier in Hawke’s Bay. 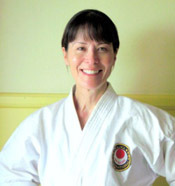 A 1st degree blackbelt, Roberta especially enjoys teaching the children’s classes. Since moving to New Zealand, she has been very impressed by the huge parental and community support given to young athletes. In addition to her long association with the martial arts, Roberta has a doctorate in psychology, and worked in the US as a university researcher and lecturer. She currently develops on-line courses for the School of Health and Sport Science at EIT.